Take this 5th Grade Multiplication Test to check your knowledge about multiplying multi-digit whole numbers. Test Objective: Fifth grade students will multiply multi-digit whole numbers and solve word problems with multiplication. Students will also multiply large numbers by powers of ten and practice multiplying up to three-digit numbers by two- and three-digit numbers. Explain patterns in the number of zeros of the product when multiplying a number by powers of 10. Use whole number exponents to denote powers of 10. 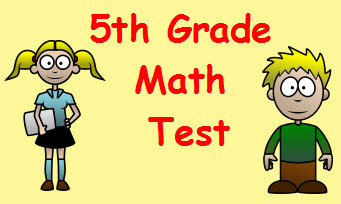 Return from this 5th Grade Multiplication Test to the Elementary Math Tests , 5th Grade Math Tests webpage, or to Math Tests.